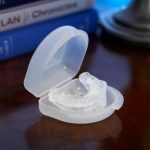 Anti Snoring Devices: Which Aid is Right for You? The base cause of the snoring as well as the specific situation will determine which devices are the most effective for an individual. With the array of products currently available, there is no reason that anyone – and his or her partner – should let snoring prevent them from sleeping well. Anti snoring devices are all great ways to prevent snoring. Most people snore at some point, especially if they have a cold or sinus infection. Snoring becomes a problem when it occurs on a regular basis. Snoring can deprive the person and loved ones from the sleep they need, and it may also be a sign of a serious condition like sleep apnea. 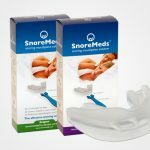 Many have had to deal with the sleep interruptions caused by snoring for so long, that they may have forgotten that there are products that can help. The noises associated with snoring are typically caused by the vibration of soft tissues in the throat or the position of the tongue. Even if these sounds themselves do not wake the person, the fact that the airway is partially blocked will disturb the person’s rest. Fortunately, there are various anti snoring devices that can prevent or reduce snoring. One’s budget, preferences and the cause of the snoring can all help determine which snoring aid is appropriate. 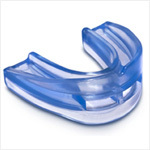 Mouthpieces are one option when trying to prevent snoring. As the name implies, these products are placed in the mouth before a person retires for the night. There are plenty of different anti snoring mouthpiece designs, but they are generally meant to prevent tissues in the throat from vibrating. These products can hold the jaw in a position that keeps the airway open. This is done by keeping the jaw slightly open or moving it into a position that tightens parts of the throat to reduce loose tissues. There are a few anti snoring devices made for those whose snoring is caused by the position of the tongue. Rather than focusing on the position of the jaw, these products control the position of the tongue. Mouthpieces are relatively popular, as they are usually inexpensive and easy to use. Jaw supporters, also known as chin straps, are another type of anti snoring device that work by controlling the position of the jaw. They are usually used for more severe cases of snoring. A person who suffers from snoring is likely to sleep with the mouth at an odd angle, which creates problems in the airway. 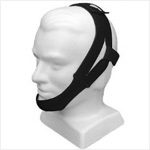 A jaw supporter fits around the head and jaw in order to hold the jaw firmly shut. 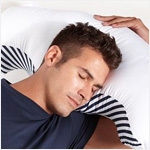 These products are trying to mimic the position in which one holds his jaw while awake. This opens the airway and keeps the person from snoring. This type of anti snoring solution is very effective, but it may take awhile for the person to adjust to wearing a chin strap. My Snoring Solution is an example of a jaw supporter. Those who would like to control their snoring but are uncomfortable wearing a mouthpiece or chin strap should consider anti snoring mouth spray. These products are used when vibration of soft, loose tissues in the throat is the sole cause of the snoring. Rather than a physical device, these products use a chemical spray to stiffen the tissues of the throat. 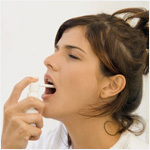 A throat spray is usually applied immediately before going to sleep. Some, but not all, may need to be reapplied during the night. This is a great solution for a person who has trouble sleeping with anything touching his or her face. Another chemical-based snoring solution is a throat strip. Also known as oral strips, these anti snoring devices are placed on the roof of the mouth before sleep. 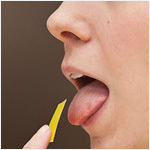 The strip dissolves and lubricates the tissues of the throat to prevent snoring. An added benefit of these products is that they usually have a pleasant “minty” flavor and smell. If the position or angle of the head and neck is a major cause of a person’s snoring, he should consider an anti snoring pillow. Anti snoring pillows are easy to use and most are inexpensive. These products work by ensuring that the head and neck are resting in a position that keeps the airway clear and open. 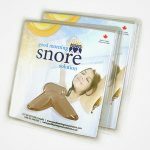 It is important for the person to remember that an anti snoring pillow is meant to be used without any other pillows. Those who are accustomed to using two or more pillows will find that this defeats the purpose of this type of device. Nasal strips are a good option for those whose snoring is caused by allergies or frequent sinus problems. Nasal congestion can create a vacuum-like effect in the throat as well as make a person more likely to sleep with his mouth open. Both of these effects can contribute to snoring. 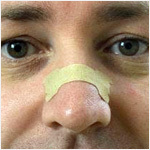 Nasal strips are placed across the nose before bed. They work by holding the nostrils open to help create a clear airway. This is a popular snoring solution since nasal strips are simple, cheap and relatively comfortable. 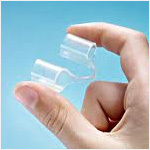 Other less-popular nasal devices are nasal dilators. These anti snoring devices are placed inside each nostril to keep them open while one sleeps. While these operate on the same principle as nasal strips, some may not consider them as comfortable to wear. However, they are less likely to be simply brushed off during sleep. 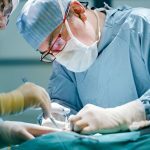 People who suffer from sleep apnea or other severe problems related to snoring will probably find that a continuous positive airway pressure, or CPAP, device is the best solution. These anti snoring devices continuously push air into the person’s airway, preventing the collapse or interference of any soft tissues. 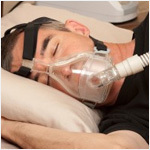 There are a few different types of CPAP products. The air is delivered by a mask that fits over the nose or both the nose and mouth. Nasal CPAP involves continuous airway pressure whether the patient is inhaling or exhaling. Bi-level positive airway pressure, or BiPap, allows the airway pressure produced during inhalation and exhalation to be adjusted separately. Finally, auto-CPAP devices adjust the airway pressure automatically. While these anti snoring devices are usually effective even in severe cases, some may have trouble adjusting to them or experience some side-effects. Last updated: November 8th, 2016. Bookmark the permalink.